I'm finding it hard to express my genuine excitement in revealing the significance of this week's Full Moon on Saturday, March 19th. What is so exciting is a once-in-a-lifetime window of Uranian energies that are available to us at this Full Moon. The heaviness of personal testing is lifting and bringing to completion what started at the last New Moon. The powerful planet Uranus has just passed into the sign of Aries. The Aries beginning of this 84 year cycle is a once-in-a-lifetime occurrence. This should not to be taken lightly. What does Uranian energy look like? Uranus paves the way to the future. This can be in the form of new inventions, revolutions, or the search for greater personal freedoms. Uranus has entered Aries for the first time since April, 1927. In 1927-28 there was a very significant release of energy. At that time the world was entering an era when major changes and events were taking place. It's interesting to note that the following lists of 1927-28 events are classic Uranian symbols. The first television is sold. Charles Lindbergh makes the first nonstop solo transatlantic flight. Physicist Werner Heisenberg introduces his famous Uncertainty Principle. Joseph Stalin imposes collectivization on agriculture in the Soviet Union. The planet Uranus adds a dimension to this month's Full Moon that is extremely powerful. The esoteric symbolism of the coming Full Moon is the image of "A Seeker of Hidden Knowledge Who is Reading an Ancient Scroll." This is a beautiful picture that perfectly describes the level of integration needed to welcome Uranus into the Zodiac sign of Aries. The symbol prepares our minds for the importance and meaning of this event. The planet Uranus ties in directly to the meaning of our current Lunation Cycle and specifically the meaning of the Full Moon. The Uranian impulse manifests in us as a force of brilliance, inspiration, Self-realization, and an independent spirit that values freedom to the point of unconscious rebellion. Uranus gives us a vision, or at least an idea, of what life can be like in the future. The search for freedom starts with an imagination of what life "could be," providing inertia and crystallization do not set in. And when they do set in, Uranus is either a liberator or a destroyer, breaking, cracking, and destroying, all that stands in the way of continuous Uranian progress. Its ultimate purpose is to liberate us from all that has become obsolete. Uranus functions in the life and psyche of most people at an unconscious level. Part of our awakening process is to develop the conscious awareness of Uranus. Using the positive aspects of Uranian energies intentionally is a necessary tool in our transition during the coming planetary shift. We are currently in the second year of the great Uranus-Jupiter cycle of 162 years. This great cycle will absolutely change the culture of our planet, through reforming the basic fabric and premise of what a society is and how it should function. I personally agree with the sages of our time when they speak of this great 162-year-cycle as being the greatest astrological event that we will witness in our lifetime. The decisions and actions we take today, both individually and collectively, will create the legacy that will usher in the changes we have all envisioned. This current Moon Cycle, and specifically this Full Moon, is the first opportunity within recorded history to activate our consciousness with the energies of the planet Uranus. This also directly supports the great Uranus-Jupiter cycle, now for the first time, in a conscious way. With this Full Moon, we all have an opportunity to bring to full consciousness all that the planet Uranus has to offer us. Remember, this is normally an unconscious awareness. 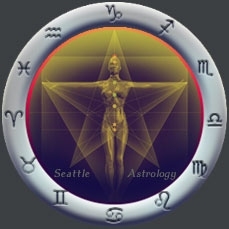 During this current Lunation Cycle and fully focused at the Full Moon, the Uranian insights and flashes of brilliance which are normally hidden and remain unconscious within our psyche, will open up like "an ancient scroll containing hidden knowledge." There is a special astrological window that will open at 8 PM, Friday, March 18th, and stay open until 11:10 AM, Saturday, March 19th, which is when the Full Moon is exact. This special window of opportunity is the final activation period of Uranian consciousness before the Moon reaches its apex of fullness. The window closes when the Full Moon meets the Sun in perfect alignment. This window of opportunity is rare and magnificent in its astrological alignment. Remember, this hidden window will only stay open during the 15 hours preceding the exact March Full Moon at 11:10 AM PDT, Saturday, March 19th, 2011. The energies of this Full Moon call for an inward withdrawal. This inwardness is not a meditative withdrawal of the senses, but a withdrawal that is focused and intentional, much like a prism which draws the light into its depths, only to release it as a full spectrum of color. The single source of light is literally breaking into the "many," yet it is still light. This is a time for reflecting on the Unity of life and Unity of consciousness. Unity can appear as a single focus, and at the same time through the analytic power of the mind, we realize the Multi-Unity of all that we perceive. The deeper you experience Unity and Multi-Unity as being the same light, the more profound will be the knowledge and illumination from "the ancient scroll that is normally hidden." To open this ancient scroll, is to experience Uranus activating the Full Moon to perceive what is normally hidden. In designing a Full Moon ritual, the key to unlocking the mysteries is simply to explore the deeper ideas of the prism and Multi-Unity and to ponder their possibilities. Sit quietly and ponder these symbols. Then wait for a glimpse of what lies beyond your normal consciousness, flashing like a shooting star across your awareness. Perhaps you will catch a brief realization of the mysteries that are there, waiting to be discovered. Because of the importance of this information, I have broken this article into two sections. The second section (PART II) is an exciting and inspiring look at the Moon and four key planets that each offer us help in integrating this major Full Moon Event. These planets offer us deep and meaningful insight to how to use these rare planetary energies and alignments to our highest good. Part II will be post on Monday, March 21st.